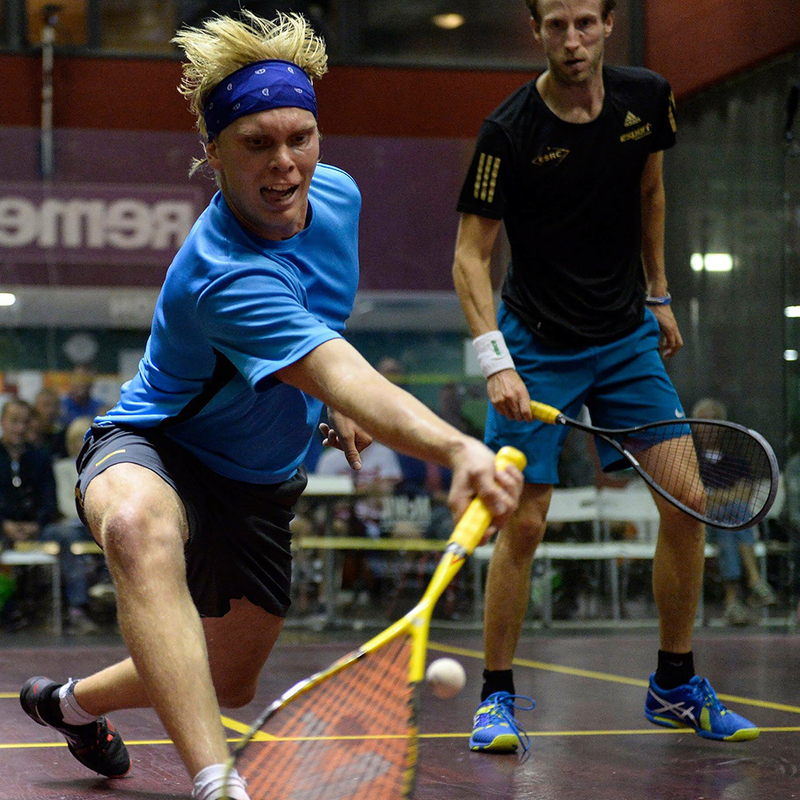 The Jericho Tennis Club in Vancouver was packed to the rafters on Saturday night to see unseeded, Fin Henrik Mustonen challenge the home favourite and #3 seed Mike McCue, in the final of the PSA First Block Capital Jericho Squash Open. Henrik, who had already beaten three seeded players to get to the final, got off to a blistering pace, pressuring the Canadian with the use of boasts and drops, to take the first game 11-7. Mike McCue started the second game aggressively, but was unable to prevent a sustained counter attack from Henrik who took the game 11-6 for a 2-0 lead. Henrik kept up his amazing pace in the third game and his relaxed, stony demeanour, whilst taking the ball early and on the volley, saw him claimed the third game 11-6 and take the 2018 title. Well done Henrik, great result! For the full tournament results visit: www.psaworldtour.com.